After the raids in Seefeld and Erfurt at the end of February, a new dimension of the alleged doping network is coming to light. According to the ARD doping editorial team, German athletes are under suspicion, too. 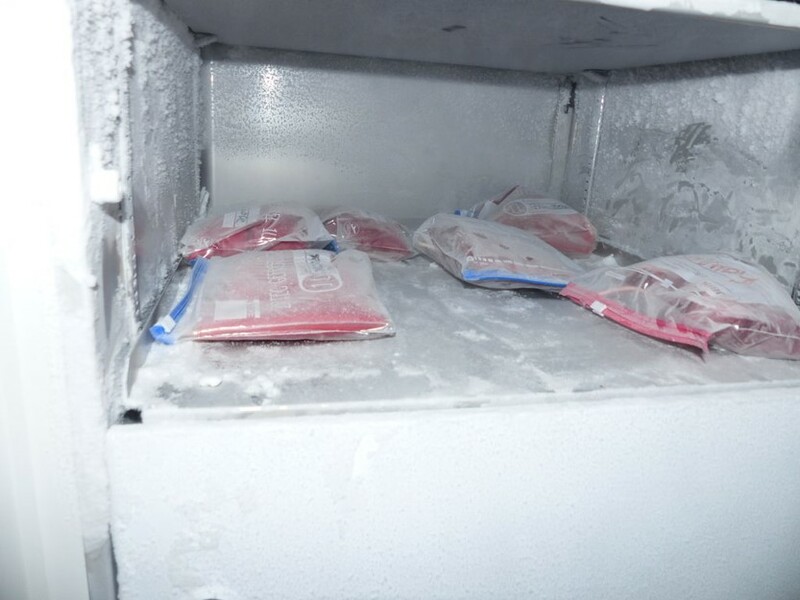 Dozens of bulging blood bags in a freezer, a defroster, a shelf full of syringes and medication. A self-made plywood wall and, behind it, a hidden doping laboratory. Photos of evidence, which the public prosecutor's office in Munich presented to the media this week, from the headquarters of the network around the alleged doping doctor Mark Schmidt. His trace reaches from Erfurt to twelve countries, as much is known so far. This already makes it the largest doping network to be discovered in the united Germany - without a forseeable end to the investigations. In "Operation Aderlass", says Kai Gräber, head of the Doping Crime Prosecutor's Office, "not all chapters are written yet". Gräber did not want to answer the question as to whether German athletes also made use of the services of the Erfurt Circle: "You will understand that for investigative tactical reasons I cannot give any information about what the main defendant said. In particular, not on which athletes are specifically affected or which nations they come from." A first German customer of the doping network is now under suspicion: According to information from the ARD doping editorial team, the speed skater also took part in the Olympic Games as a member of the German national team. Various sources provided concrete information - including the fact that the athlete had his blood repeatedly manipulated by Schmidt's network before the Winter Olympics. It remains to be seen whether Schmidt, who was questioned several times in the Munich-Stadelheim prison, even gave the name of the athlete himself. Upon request, the Munich public prosecutor's office stated they do not want to comment on the case yet and referred to ongoing investigations. According to ARD information, the name is also known to the National Anti-Doping Agency (NADA). On request, the agency did not want to confirm or deny the name either. It was said from Bonn that it was not yet possible to make a statement on the matter. A German speed skater is also suspected to have been a customer of the Erfurt doping ring. The ARD doping editorial team reached the suspected person on the telephone. He announced that he does not want to say anything about the accusation against him. The investigations could also catch athletes who have been lulled to safety because their blood doping took place some time ago or because they have already ended their active careers. Criminal law provides for a statute of limitations for self-doping after five years. "The statute of limitations under criminal law is to be seen differently from that under sports law. The statute of limitations under sports law goes back for a longer period," said Lars Mortsiefer, Legal Director of the National Anti-Doping Agency, "according to the anti-doping regulations, we can currently go back up to ten years. So that the period that has now been presented, from 2011 to the present, is still covered by our rules, so that athletes involved can be prosecuted under sports law." However, the image of the practices of the secret Erfurt network is becoming increasingly sharp. 21 athletes from eight European countries are currently being targeted by the investigators and suspected of having belonged to Schmidt's customers. Between 2011 and 2019, they are said to have used their own blood for doping in Europe, in the US state of Hawaii, at the Honolulu Marathon. And they also played on the big stage: for example at the Olympic Winter Games in February 2018 in Pyeongchang. The athletes themselves - or to be more precise: their bodies - served as inconspicuous transport containers for the red blood cells that had previously been stored. Before departure to South Korea, up to a litre of blood concentrate was infused into their circulation. The Berlin sports physician and internist Fernando Dimeo calls this procedure "perverse and criminal". Dimeo says: "You have no experience. You have to imagine - you don't inject your own blood into a healthy body and certainly not before the flight." This is because: "The blood becomes thicker. Accordingly, clots can form, thromboses - life-threatening." Especially since the athletes are on long-haul flights - "three, four hours until they reach the nearest airport. That's particularly risky." After landing, the athletes had their blood drawn off again by employees of the Erfurt network in order to have it infused again shortly before the start of their competition. Athletes as guinea pigs. According to the public prosecutor's office, at least one athlete was tried out with a haemoglobin powder of which neither effects nor side effects were known. Result: The athlete's heart had raced. Further use of the drug was then discontinued. According to the prosecutor’s five different kind of sports are involved; four have meanwhile been identified: besides speed skating also athletics, cross-country skiing and the branch that is least surprising: "A not inconsiderable part of the athletes were active in cycling", says Chief Public Prosecutor Gräber to the ARD doping editorial team. And: "Cyclists who have taken part in large and long tours are also affected". It's no surprise to insiders who doubted that professional cycling has become substantially cleaner. The majority of the athletes who were customers of the alledged Erfurt doping doctor are still unknown. They should soon have a face. And, according to the ARD doping editorial office, not only one should come from Germany.